They absolutely do! 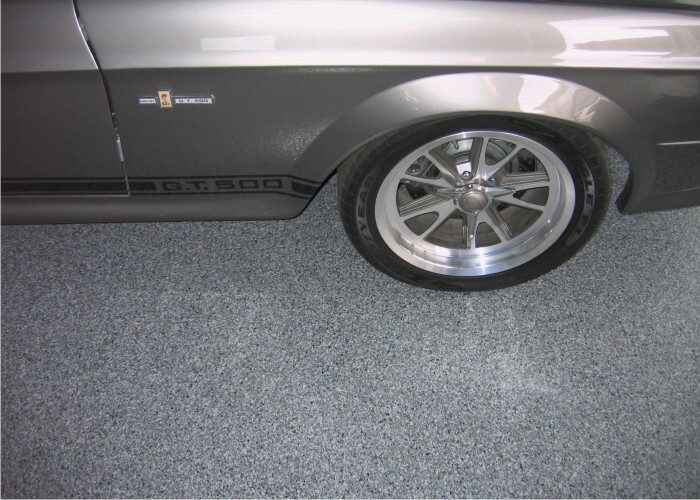 An uncoated garage floor is dirt’s best friend and if you’ve ever walked across one in your bare feet you probably know this all too well. 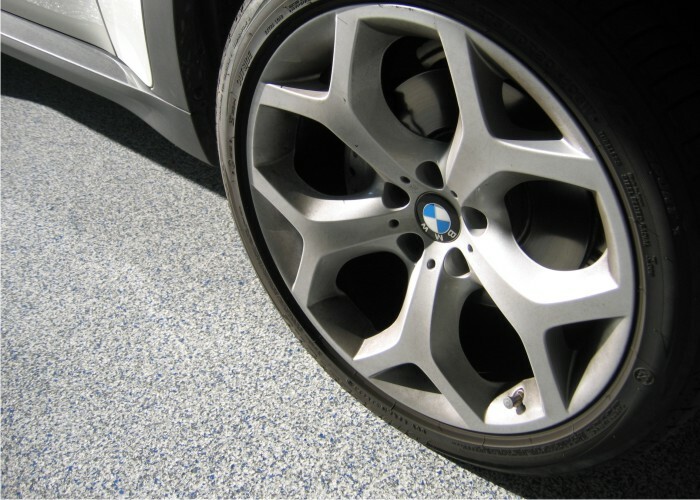 The cracks, pits, chips and grooves in garages are the perfect place for dirt and debris to collect. 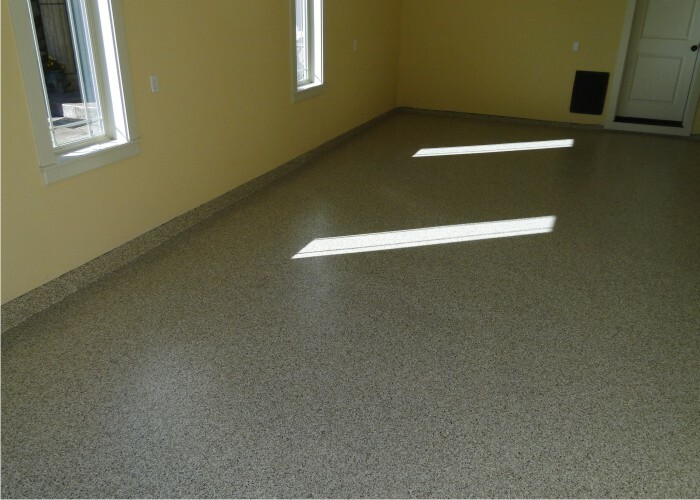 We eliminate these areas by cleaning out the surface defects and then fill them prior to applying the custom concrete coating, leaving you with a beautiful, seamless floor. 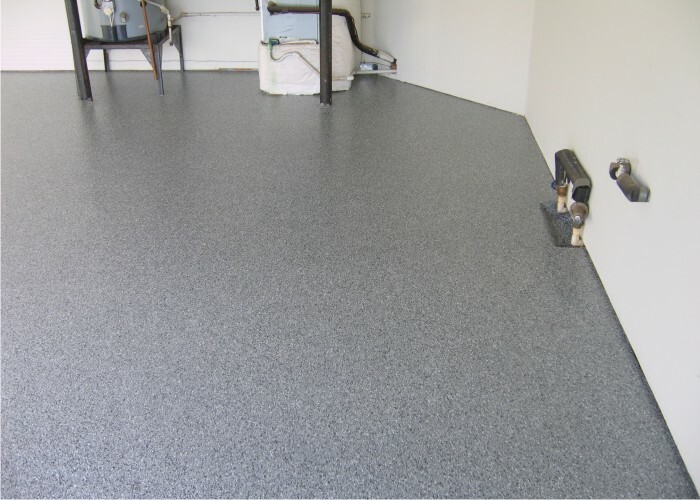 Another function of having a professionally installed garage floor coating by Bach Custom Coatings centers on spills and/or leaks. 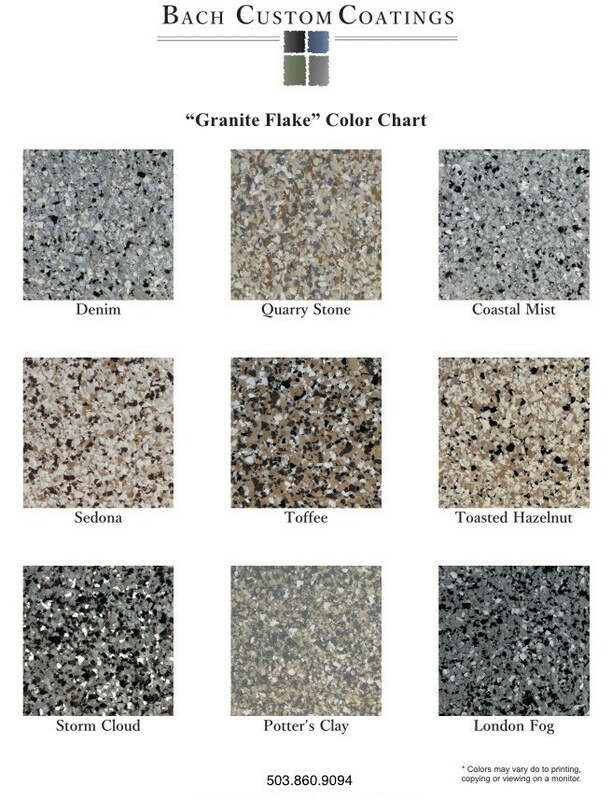 Concrete by its very composition is porous and as a result allows such things as motor oil, transmission fluid, beverage spills, insecticide or pesticide spills or any other substance to penetrate the surface and become a permanent part of the slab. Beyond the unsightliness of the stains, some of these chemicals can be extremely damaging to your concrete and potentially to the environment as well. Just as water can wick up through concrete, so can harmful chemicals, ultimately leading to groundwater pollution. 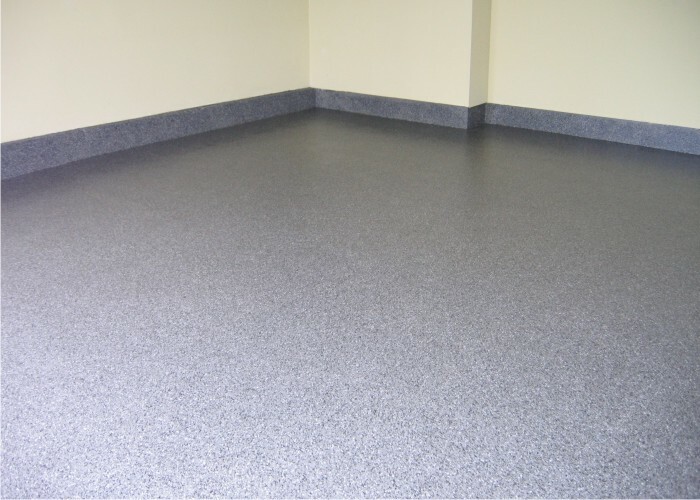 By sealing the capillaries in the slab we provide you with a seamless floor that repels dirt and contaminates rather than allowing them to adhere or soak in. 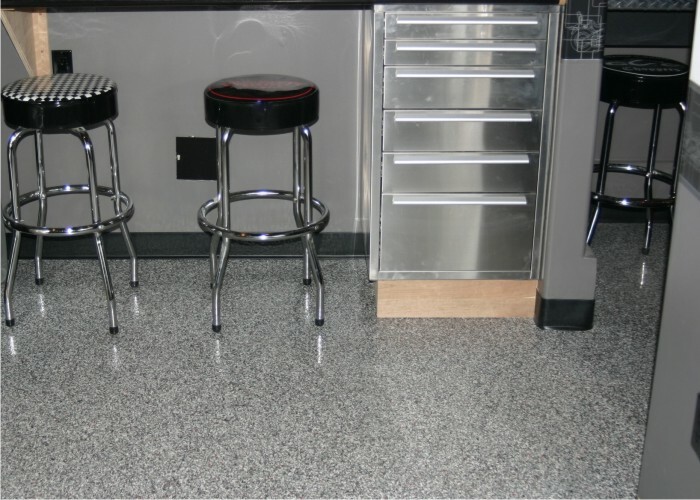 It’s unlikely that you’ll need a garage floor coating that is protected from such things at bacteria or other micro-organisms, but that is another protective feature one of our custom concrete coatings provides. 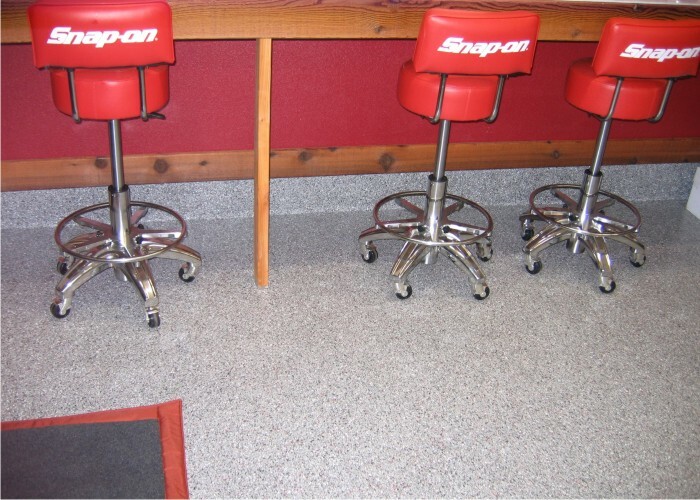 The same industrial grade products we use on garage floors are also found in restaurants and food processing facilities where strict USDA standards must be met. 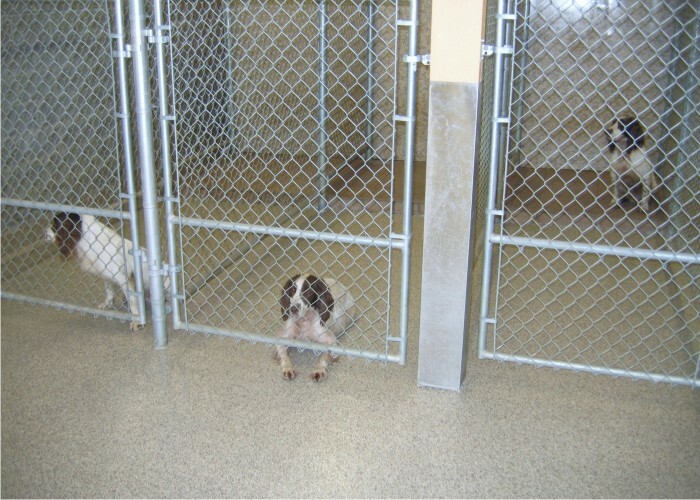 If you have children or pets that will be spending any time in the garage you can rest assured that they will have another level of protection under their feet. 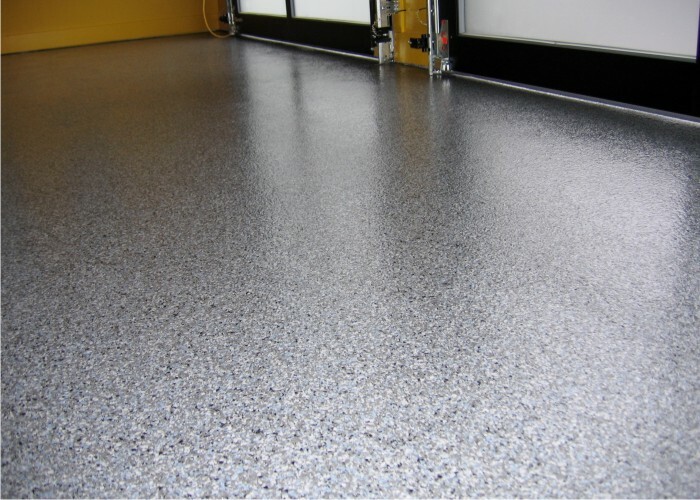 A successful custom concrete garage floor coating installation starts well before the actual application of the materials. We have done, and continue to do, extensive research to find the best resins, curing agents, sealers and other materials available in the marketplace today. The manufactures we choose to partner with have a proven track record in the coatings industry and are able to deliver consistently high quality products to our clients. We also believe education doesn’t stop with us. As a consumer, it’s equally important that you get the answers you’re looking for. We know an informed person will make far better choices than one who refuses to take the time to learn. With this in mind, we will encourage you to ask as many questions as you like and will do everything in our power to ensure you receive clear and understandable answers. In fact, we have a FAQ page to help you get started in this process. 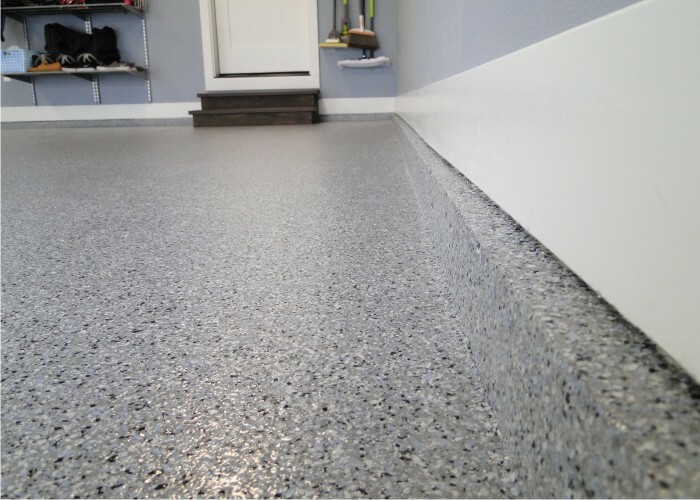 At this point one of the owners of our company will come out to your home and evaluate the condition of your garage floor. 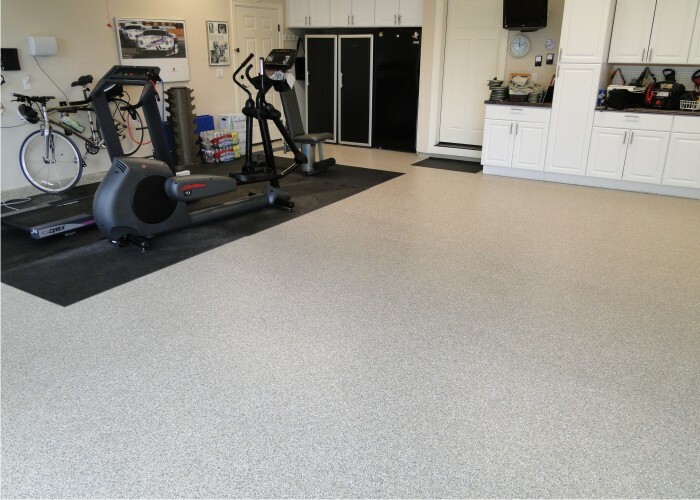 At that point we’ll show you actual samples of our flooring systems and through your input, determine what color and style will best suit your needs. 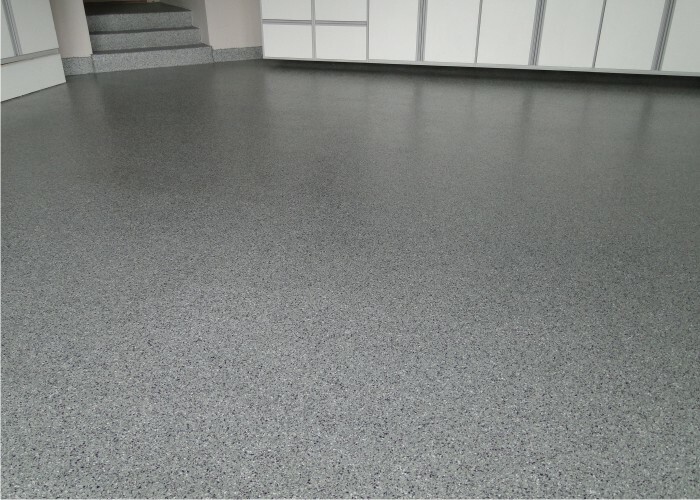 We’ll measure the floor and provide you with an accurate written quote. 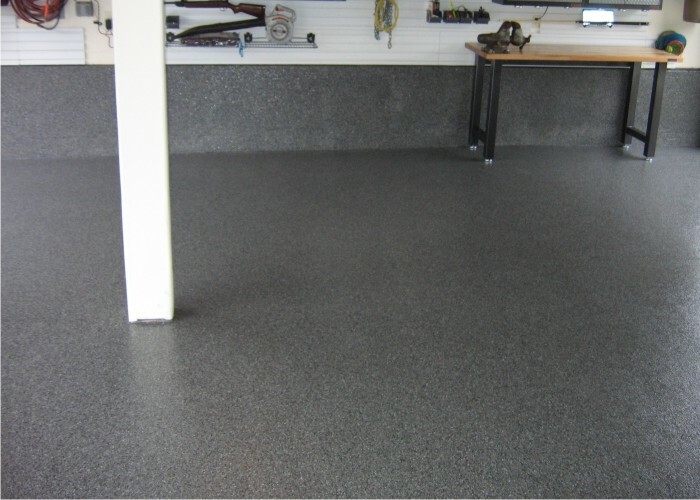 The next step is to actually install your new custom garage floor. We start with the proper surface preparation. 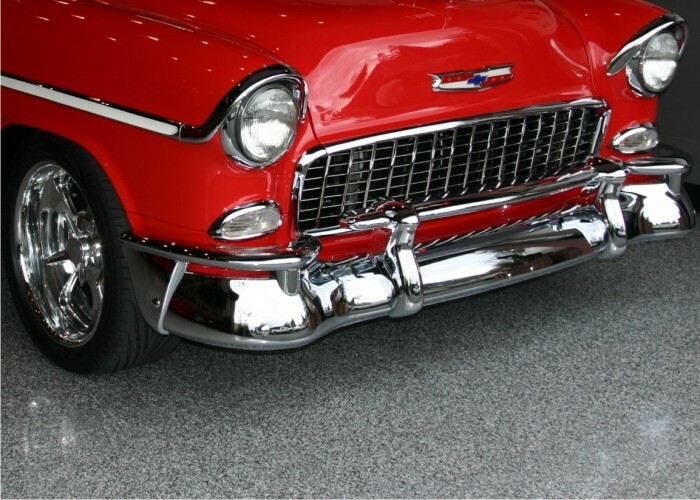 Using a combination of diamond grinding and/or shot blasting, we will remove any existing paint, oil stains, sealers or other contaminates that would inhibit a proper bond between the concrete and the coating. Cracks, spalls, pits and chips are cleaned out and filled with a rapid curing agent, then ground flush with the surrounding slab. 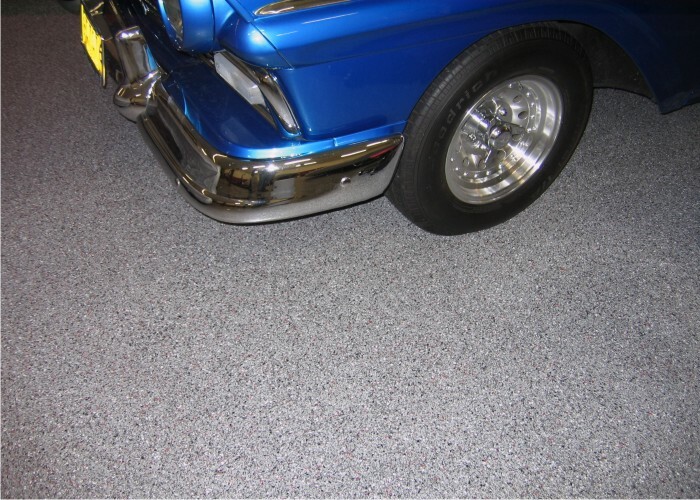 All areas adjacent to the custom concrete coatings application are protected with a detailed masking. 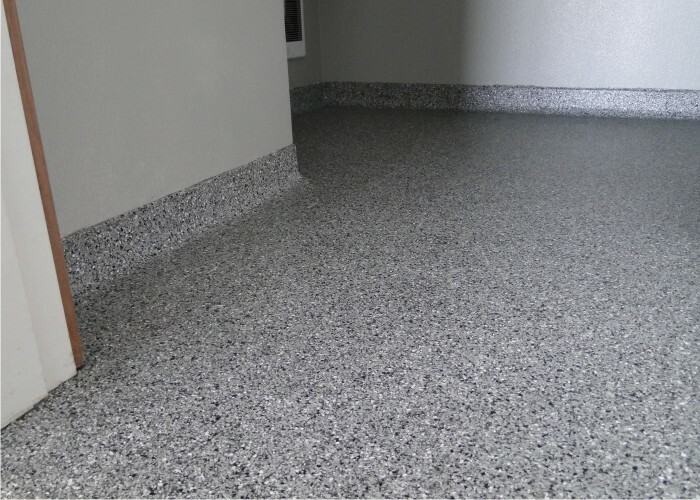 At this point your floor is now ready to receive the custom concrete coating with the color you’ve selected. 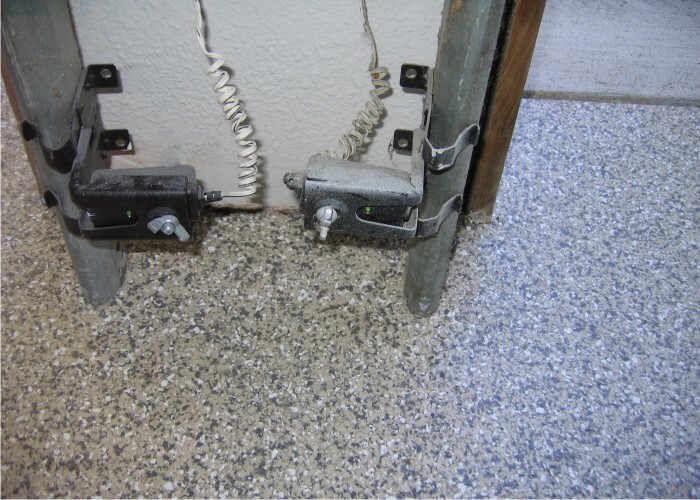 This begins with the application of a moisture tolerant primer followed by the addition of multi-colored chips which are broadcast into the wet surface. 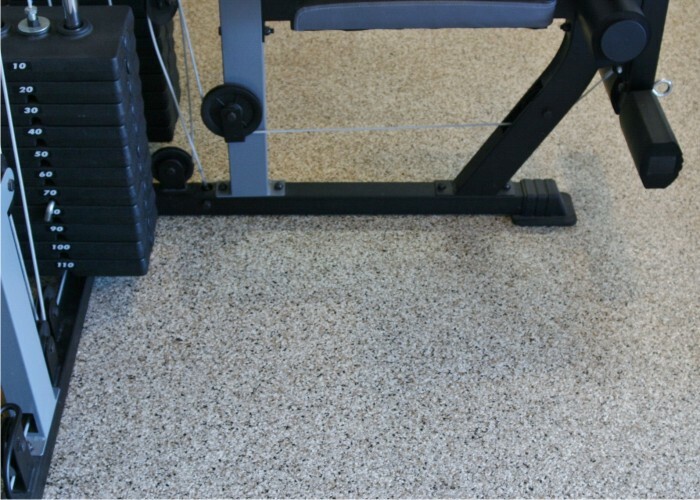 Once cured, the surface is thoroughly scraped, sanded and vacuumed to remove the excess color chips. 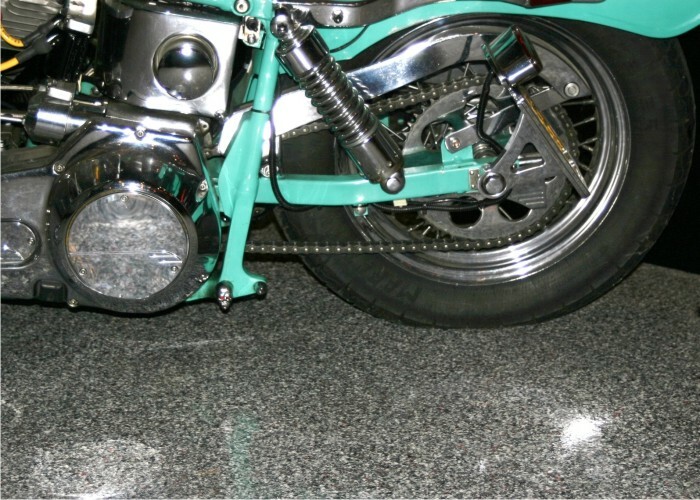 A clear protective polyurea topcoat is applied to give the floor a beautiful, long lasting shine. 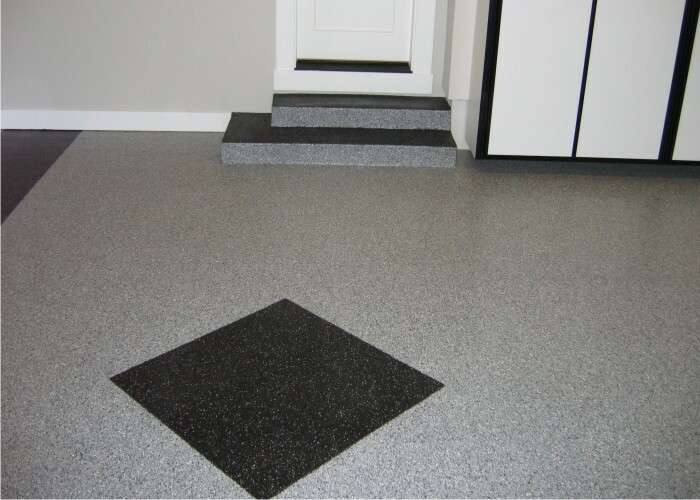 We inspect the finished floor with you and go over detail such as when you can walk on and drive on your new floor. We will also go over care and maintenance with you at this point.